Today marks ten years since a 16-year-old girl was reported missing from her Sussex home. Vera Osagiede was last seen on March 30, 2007 but is still recorded as missing. She was 16 years old when she was last seen at her home in Worthing. 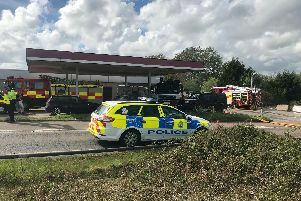 A Sussex Police spokesperson said there are ‘no current or recent lines of enquiry’ but anyone with any information should email 101@sussex.pnn.police.uk or call 101.